Tesla will cut its full-time employee headcount by 7% with Chief Executive Officer Elon Musk saying the "road ahead is very difficult" for the electric-car maker. The shares dropped 5.6% in US pre-market trading. The California-based company managed to eke out a profit in the fourth quarter, Musk said in a blog post on Friday, but it was lower than the what the company achieved in the third quarter. 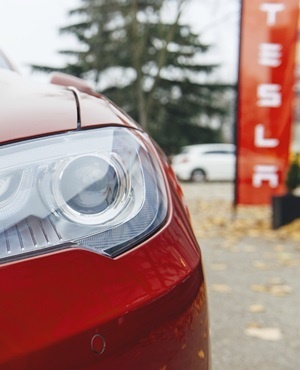 Tesla will need to produce lower-cost versions of the Model 3 to broaden the car’s appeal to the mass market and as the company starts international deliveries. The car’s base price is at $35 000 but initial deliveries have cost $44 000 or more. Moving from last year’s "production hell" for the Model 3, Tesla got into even choppier waters with Musk’s failed attempt to take the company private. The larger-than-life CEO agreed to an SEC fine, faced concerns about his well-being and smoked weed on a US talk show. Tesla’s attempt at getting costs under control comes as incumbent carmakers too struggle with the high cost of making electric cars. On top of record investment in new electric-car lineups, high battery costs are crimping margins and buyers worried about charging and driving range largely remain on the fence. In early US trading, the stock fell about 5.6%.